Hashmi Herbals – A Leader in the Herbal Suppliers Industry Offering Supplement Capsules, Medicated Oils, Creams, Shampoos and Powders. Hashmi Unani Pharmacy, a GMP Certified Company has been one of the leading suppliers of herbal medicines and dietary supplements in the industry since 1929 and continues to provide customers with the high-quality products they need to be successful in the vitamin and supplement industry. We offer an array of herbal and cosmetics products, including herbal medicines, sports supplements, and dietary supplements. Hashmi's Health Care range brings for you a wide selection of Herbal and natural products that offer complete care for varying individual needs. Our products are derived from the time-tested herbs, and backed by the most modern scientific test & trials that ensure unfailing quality and safety. 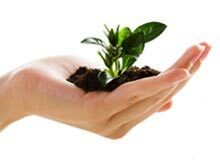 Hashmi Health Care has come a long way today to become a leading herbal products manufacturer in India. Hashmi presents a range of Herbal Personal Care products, created to make you look and feel good. Bringing together the gentle touch of nature and Herbal's wisdom, the range covers categories like Hair Care, Health Care, Skin Care and Baby Care. We touch the lives of all consumers, in all age groups, across all social boundaries.